The secure credit application requires no commitment or obligation. Once we know your credit situation, we will assemble options that can lead to you being approved for credit-challenged auto financing. Vatland Honda near Ft. Pierce, FL works with drivers in and around Vero Beach, FL, to secure the used car financing they need, including used cars for sale. If you have a financial history that has required the pursuit of rebuilding bad credit financing or subprime auto loans, you don’t need to be concerned that today’s application will be affected. 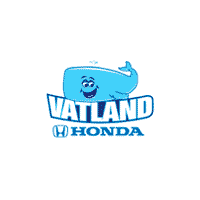 You should speak with the finance department at Vatland Honda directly. When you work with our Honda dealership, you take the first step towards helping your credit score recover from the financial landmarks that may have negatively affected your credit score. You should be given automotive financing that aligns with your wallet; you should be given financial assistance from Vatland Honda! When you have secured the credit-challenged financing you deserve, it’ll be time to choose a used car to take home from Vatland Honda. Our Honda dealership stocks an impressive used car inventory. Test drive a used car, truck, SUV or Hybrid at Vatland Honda today. We’re here to help get you financed and back on the roads of Vero Beach, FL.